Desert Academy, Santa Fe, USA "CACHEBOX reports give us very clear indication of what traffic is doing – where we get biggest hits and where we can get the biggest savings." Stuart Jones, Outwood Grange Academies Trust, UK "Support were excellent and helped us to get the box deployed despite multiple complications and found some DNS issues using the reporting tools." For some time, HIS had been contending with increasing demand placed on limited, expensive bandwidth. Teachers and students needed fast, reliable access to the internet to communicate, collaborate and carry out research. With a 1:1 scheme (the provision of 1 device per student and teacher) in the process of being deployed, the school’s ICT team identified the need to optimise bandwidth usage. Harare International School (HIS) caters to 550 students from around the world. An elementary, secondary and high school share a custom built campus in Zimbabwe’s capital. 8Mbps connection (burst to 11Mbps), needed to support up to 700+ connected devices at a time. Bandwidth usage at HIS ranges from light general browsing, email and document sharing to downloading video and other large objects during lessons. “A lot of our traffic was from group-based lessons – this meant lots of students accessing exactly the same content. We were constantly downloading duplicate data,” explained Jeff. This resulted in poor internet performance at peak times and created extra work for the ITC department as teachers raised faults related to ‘connection timeout’ messages. An 8Mbps connection costs over $6,000 per month, so simply increasing the bandwidth was not an option. HIS had previously used a Microsoft ISA Server which delivers limited web caching functionality and, as it can only handle HTTP content, could not cache video, downloads, or updates. HIS recognised the need for a more powerful solution, focused on caching all web content. Having discussed the CACHEBOX range with ApplianSys and a local partner (Solution First), HIS decided that a CACHEBOX230 would best meet their requirements and budget. Harare International School chose to deploy CACHEBOX using WCCP. Originally developed by Cisco, WCCP mode enables a router to separate out web traffic automatically and forward it transparently via CACHEBOX. Other switch/router vendors have implemented WCCP support in their products as it simplifies the redirection of web traffic. In addition to making their CACHEBOX deployment easy, WCCP also provides redundancy. If there is a problem with CACHEBOX, objects can be accessed from the internet without disruption. 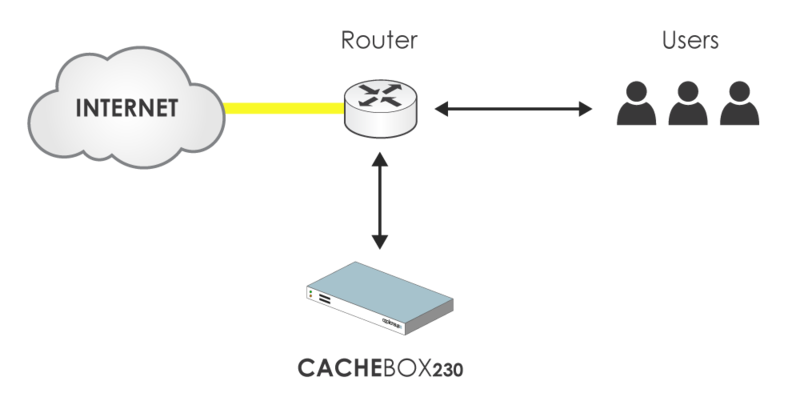 Since deploying CACHEBOX HIS has benefited from significant bandwidth savings and performance improvements. There has also been a dramatic reduction in bandwidth consumption associated with updating software for all active devices throughout the campus. Updates from software vendors including Microsoft, Apple and Adobe are downloaded once when the first computer is updated. They can then be served from cache for subsequent devices.